Shelf and Rack Label Holders, Shelf Holders, School & Library Document Display, School & Library Document Display. Special sizes on request (up to 3m lengths). 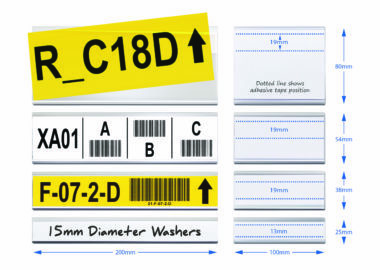 With a choice of 4 heights, this clear PVC strip is supplied with an aggressive adhesive backing for permanent locations. For non standard heights, widths or coloured profiles please contact our sales office for a personalised quotation. Identification plays an important part in any filing system, whether it’s in the office, retail, industrial, home or freezer environment. Things need to be in their place and that place needs to be identified. This is where Beaverswood comes into the picture, they specialise in a wide range of identification products which include many sizes and types of self-adhesive ticket holders. Ticket holders are manufactured from clear PVC and are available in either magnetic or self-adhesive. Because Beaverswood manufacture the Self-adhesive ticket holders they can supply them in standard cut sizes from stock in up to 3m lengths but also cut to your specific length saving you time and valuable resources. 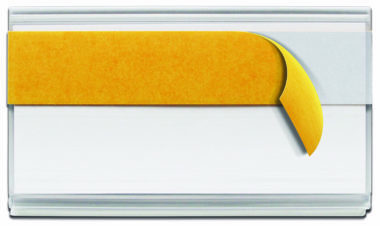 All Beaverswood holders are supplied with white card inserts and a clear plastic cover strip. 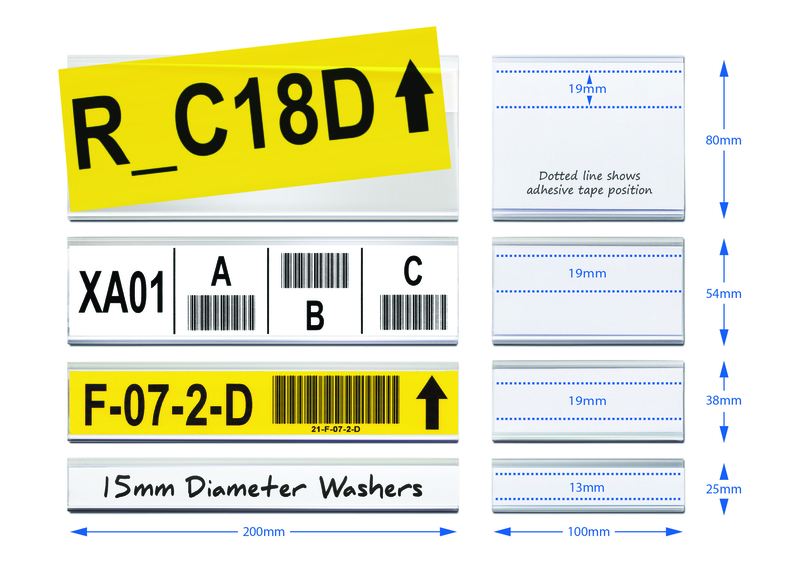 Pre-printed inserts can also be supplied with alpha-numeric sequences and barcodes.